There is something about the way Eric connects with my audience that left me feeling like he made the No Shoes Nation Tour something special! He attacks the stage with so much force – and his songs really speak to the people who’re fighting the fight to get by – and I love that about what he does onstage. When Do Kenny Chesney and Eric Church 2015 Tickets Go On Sale? Pre-sales begin as early as November 15th, with general public sale beginning on November 21st. Fan club pre-sales for all dates are coming soon through Chesney's No Shoes Nation and Church's Church Choir. Check the table below for full details on each individual show. Eric Church is currently on his The Outsiders world tour, featuring Dwight Yoakam, Brandy Clark, and Halestorm. Tickets for a majority of those shows are already on sale. Stay tuned to Zumic for updates. Use discount code SHOPCONCERTS for 5% off any concert ticket purchase you buy at SuperstarTickets.com, a Zumic preferred ticket reseller. 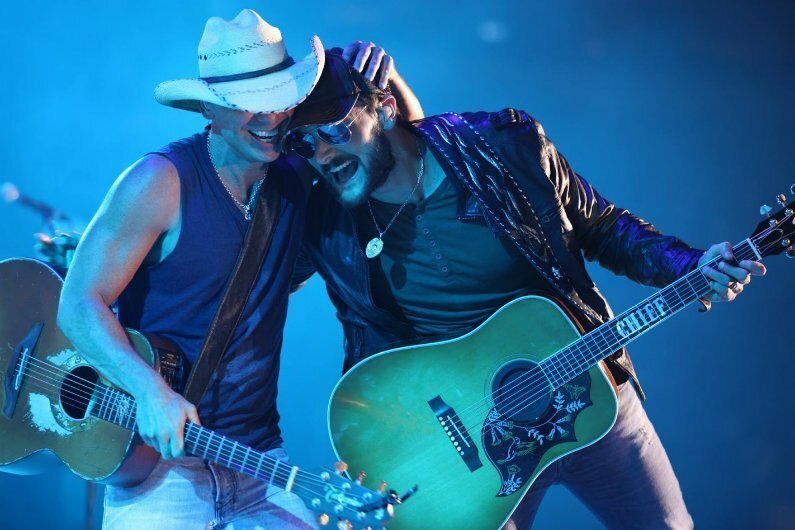 For Eric Church's latest music and news, check out his Zumic artist page. For more from Kenny Chesney, head to his Zumic artist page.